Antire ! (good afternoon) from Tamale and greetings from the remaining members from team A! Yesterday was a very exciting day for us because we were able to meet face to face almost every individual in our village (Manguli). Our day yesterday consisted of walking from household to household distributing clean water containers that they will use to collect their families clean water from their new clean water source. It was amazing to be welcomed into every household and get to know each family individually. It was a very exciting day for our team, as all the people that we got know were very excited about the work we were doing. 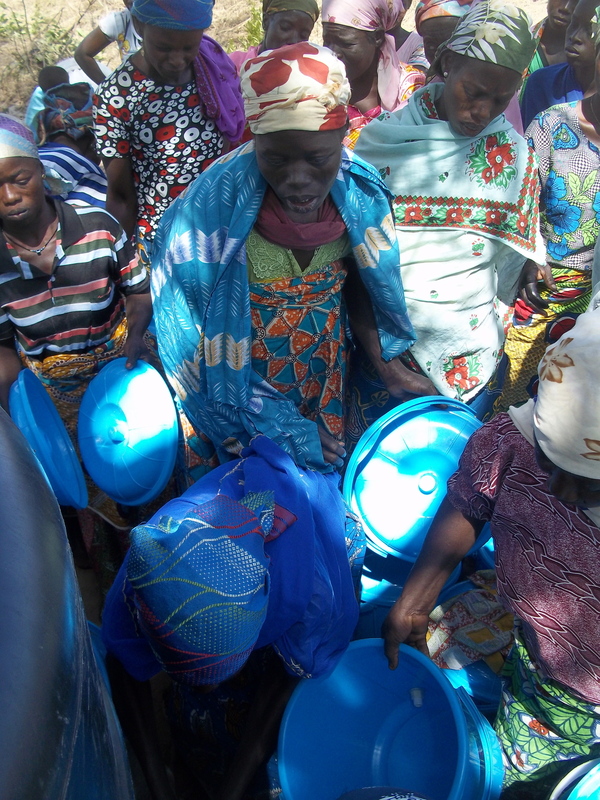 The day was also challenging, as we had to distribute forty- six clean water storage buckets! Last night was tough as one of our contributing team members Matt Gillstrap returned home to the states as he had grad school to prepare for. Matt’s hard work did not go unrewarded as today was opening day for the village of Manguli giving clean water to ever household for the first time! Safe Travels Matt! We miss you! We began our day in Manguli like the days prior with first meeting at the Chief’s household to pay our respects and discuss our plan for the day. Every time we get to interact with the chief it is a really amazing experience as we go back and forth through our translator Nestor. 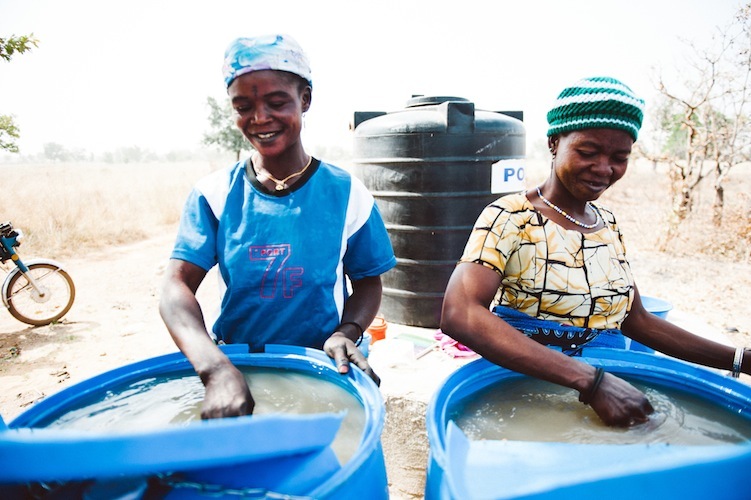 After meeting with the chief all the women and elders of the village met us at the new polytank with their buckets. There was a great opening ceremony with prayers said and water passed around; after that there was a four-hour frenzy of getting water into everyone’s buckets. 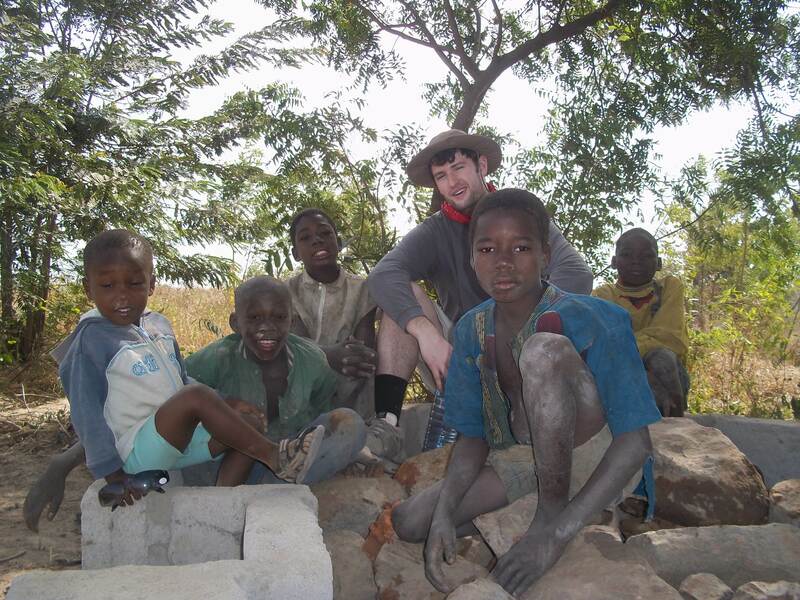 It was very rewarding to see everyone so enthusiastic about their clean water. 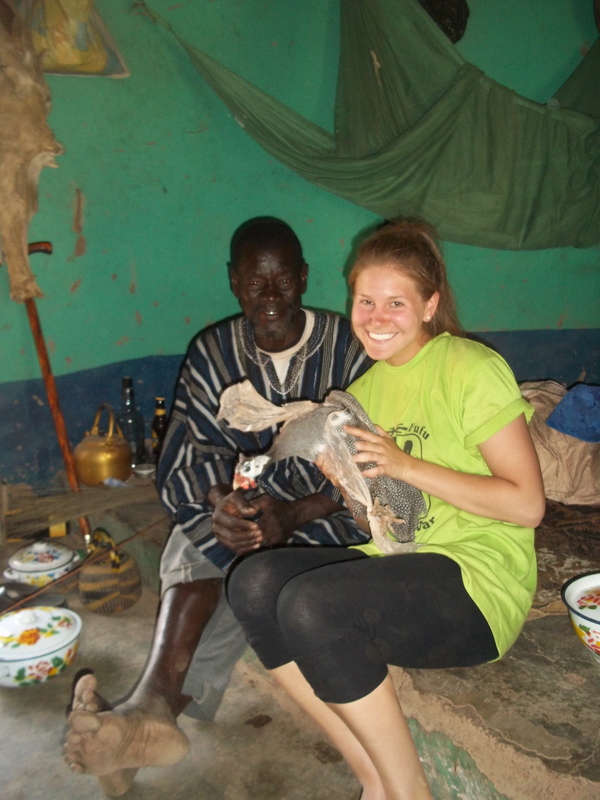 When we met with the chief after everyone picked up their clean water he presented us with a guinea fowl and six cassavas to express his and the village’s deep appreciation. Can’t wait to make a meal of them! This entry was posted in Global Leadership Program, Implementation, Manguli, Opening Day. Bookmark the permalink.